Developing, delivering, and using a new technology like VR isn’t easy; but gawk, it is fun. At IBC, we’ll see – and hear from – people who can see it, almost touch it. And we’ll hear a ton of naysayers. Not a lot of color TV sets sold back then. Why? Lack of content, high cost of production and lack of viewing screens. The M&E industry has a lot of challenges, issues, opportunities on its plate but the Amsterdam event is focused on helping the industry be prepared to prosper in the next 50 years. And if that isn’t enough, there’s the SMPTE (Society of Motion Picture and Television Engineers) conference a month later in Hollywood. Very simply, we can deliver the immersive experiences visionaries and early adopters envision. The technologies – HW/SW – will continue to evolve and the early creators are shooting/producing content people want and expect. IBC2017 opens on 15 September at the RAI Exhibition Centre in Amsterdam. As of today we feature 78 companies and their approach at the IBC2017 Show. This list is continuously updated. F&F Productions, a leader in mobile event production including major league sports, network series and entertainment specials, live concerts, and large-scale corporate events for Fortune 500 companies has launched GTX-18, its latest mobile event production truck which is outfitted for 4K HDR event production with a comprehensive Evertz solution. GTX-18 was conceived to natively handle 4K HDR production throughout the entire workflow from acquisition to production to distribution. GTX-18 leverages an SDI infrastructure with an Evertz EQX 26 560x1134 SDI router and EMR 192x192 audio router at its core. Evertz’ EQX/EMR routing solution was ideal for GTX-18 with their robust, flexible architectures which enable audio and video routing for both HD and 4K HDR productions. TopVision, the Berlin TV outside broadcast specialist, has upgraded two of its OB trucks with a powerful Stage Tec audio DSP unit. Its outside broadcast trucks Ü2 and Ü5 are each equipped with seven DSP boards from the RMDQ range. The OB trucks work on demanding productions requiring excellent sound, including multi-channel audio for HDTV formats. With the new DSP boards all the necessary configurations can be handled – with up to 800 audio channels and 128 sum buses, depending on distribution. The AURUS consoles, which have been installed in both OB trucks for many years, can now exploit new features such as Stage Tec’s Automixer. Loudness metering according to EBU R 128 is now also available in the sum and group channels. Norway’s public broadcaster NRK selected LiveU and Radionor to provide groundbreaking Slow TV coverage of the annual reindeer migration across the Norwegian wilderness. The combined technologies allowed the broadcaster to create over 150 continuous hours of live programming across broadcast – NRK 2 – and online streaming through the north Norwegian wilderness that meant new technologies and new ways of thinking were required. The LiveU technology was supplied by Mediability. NRK has been a pioneer of Slow TV, coverage of an ordinary event in its complete length. It says that, “’Slow TV’ gives the viewer a unique experience; the feeling of being present in real time and space. Following the success of its participation at the 28th SEA Games Singapore 2015, as the production partner of Host Broadcaster MediaCorp, IGBS was appointed by Astro Arena for the delivery of a number of production services at the 29th SEA Games 2017. IGBS provided ENG coverage for non-live sports, as well as Quality Control for all live events, Daily Highlights production, and the production for two multi channels. Three Broadcast Venue Managers (BVMs) from IGBS supported broadcast activities at venues. Also some broadcast specialist companies like XD Motion were hired in. XD Motion provided a 50 meters X track to cover the swimming competitions and a 100m X track to cover the athletics running events. One of the biggest sporting events in the world, in terms of participation and global exposure, the 2017 FINA World Championships has been be the largest sporting showcase Hungary has ever hosted. Having lined up almost 3,000 athletes in six different disciplines, competing in 75 contests over a period of 17 days, the FINA Championships has imposed a huge challenge on its organizers, since the preparation period was curtailed to two years. 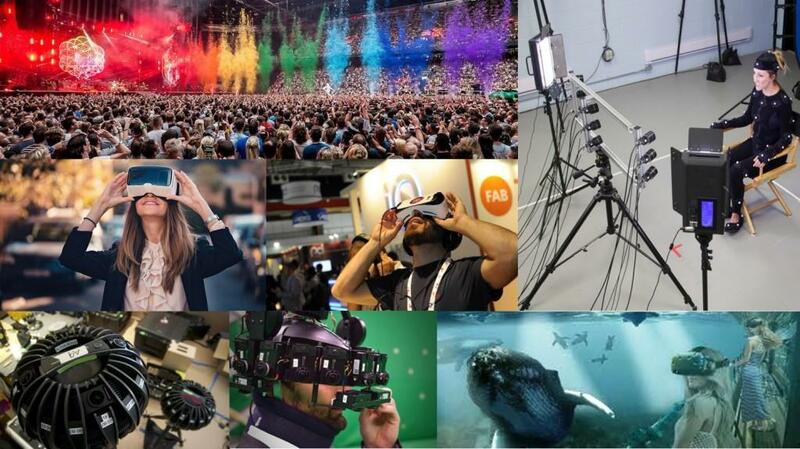 Flickerfree replays could be seen by millions of viewers as part of the World Feed and more than 880.000 spectators on stands and in fan zones were able to enjoy slow-motion sequences with up to 2.560 frames per second on large video-walls placed all over Budapest. LMC supplied the latest version of the Antelope PICO with improved detail and unsurpassed light sensitivity. Developed by Quantum5X Systems Inc. in partnership with Bexel, the QT-5100 PlayerMic kits have previously been deployed in other sports broadcasts including professional basketball, but they made their live pro tennis debut on July 18 when Mylan WTT's Washington Kastles and New York Empire squared off in Washington, D.C. Bexel supplied the specialty wireless audio systems and provided an on-site engineer to support the remote productions in New York City and Washington, D.C., as well as the finals match in San Diego in which the Orange County Breakers defeated the San Diego Aviators. Mylan WTT selected up to three players each match to wear the QT-5100 PlayerMics for its "Sounds of the Court" feature. OneRepublic is headlining the 2017 Honda Civic Tour, the sixteenth annual edition of the automaker’s summer tour, and Claypaky Mythos2 and Claypaky Sharpy Washes are along for the cross-country ride. The Honda Civic Tour kicked off in Kansas City, Missouri in July and will wrap after Labor Day in The Woodlands, Texas. The pop rock band will play 34 dates nationwide primarily in amphitheaters. It’s OneRepublic’s first tour since releasing the album, “Oh My My,” last October. Production and lighting designer Mark Butts of LA’s Preset Productions partnered with director and co-production designer Raj Kapoor of LA’s Raj Kapoor Productions to create a signature look for the band. Formed back in 1980 Depeche Mode have had an incredible career. Since the release of their debut album Speak & Spell in 1981, they have had 50 songs in the UK Singles Charts, 17 top 10 albums in the UK chart and have sold over 100 million records worldwide. For their current Depeche Mode Global Spirit Tour, Front of House engineer Antony King has chosen an L-Acoustics K1 system, supplied by UK rental company Britannia Row Productions. Depeche Mode have worked with Britannia Row for more than a quarter of a century and this longstanding relationship with the company and the pristine equipment it provides gives peace of mind to both the band and their engineers, who are certainly putting it through its paces, with the stadium tour starting this past May in Europe and concluding in March 2018 in South America. The annual pilgrimage by Germany’s dance aficionados to the Nature One electronic music festival again saw a capacity crowd of 65,000 assemble at the Pydna Missile Base in Kastellaun. The setting of this former NATO missile base in the west of the country has proved to be the perfect location to host an event featuring over 20 stages. Promoters I-Motion are on a mission to keep the event fresh, despite the fact it is now more than 20 years old, and the brief to the event’s long-term LD, Thomas Gerdon was to come up with another new design concept for the Main Open Air floor at the 2017 edition. This he did with the aid of GLP’s unique lighting solutions. A chance to test-drive the Digital 9000 at last year’s Summerfest in Milwaukee was enough to convince the multi-million-selling artist and his team of the system and its performance. Monitor engineer Matt Holden recalls the moment at Summerfest last year when he realized Digital 9000 was something special: “I was impressed with the sound when I heard it, but what really caught my attention was that for the first time, Pitbull came off the stage after the show and right away wanted to know what microphone we had used!” The serendipitous experience at Summerfest led the team to begin traveling with a Digital 9000 system immediately thereafter on tour. System T is the world's first dedicated live-to-air broadcast audio production system to be entirely IP based. System T uses AoIP as its core, not simply as an edge connection to the console’s audio infrastructure. Tempest Processing Engines include direct AoIP interfaces allowing commercial off the shelf switching infrastructure to replace the requirement for expensive proprietary audio routing hardware. Universal AoIP connections reduce the overall system design cost and improve redundancy topologies, peripheral devices with IP connections do not require traditional audio converter connections. AoIP connections for Tempest Engines and all Network I/O devices are capable of Dante, AES67 and SMPTE 2110-30 using the same hardware. The studio forms part of the bank’s Equinox Facility located in the financial district of Sandton, Johannesburg, a bespoke innovation space that was designed for use by both the bank’s staff and its clients. Jason Sproat of Africa Broadcast, who specified and installed the solution, explains that the studio had to fit the ultra modern multimedia environment of the facility. The green screen studio is used for a multitude of purposes, from CEO briefings to team building videos, through to Barclays’ own customer productions, and so flexibility and usability were key prerequisites when designing a solution. The 60-minute movie features jaw dropping stunts and sees riders battling the elements on massive ramps including the 70-foot-tall roll in, on the spectacular southern tip of the African continent at Garden Route Trail Park in Knysna, South Africa. It gives mountain bike and extreme sports fans the opportunity to experience the highs and lows that come with building a unique MTB course over three weeks, which will frighten even the most experience riders. The narrative revolves around MTB hero and project mastermind Sam Reynolds. DarkFEST has been his dream for the past five years and it took him and his core team countless hours to plan and prepare the course.